Q Why can't the way English is taught in Japan produce people who can use English? A Schools in Japan teaching English from the first year of junior high school continuing at least until the third year of high school, but the students are uable to speak or to comprehend English! 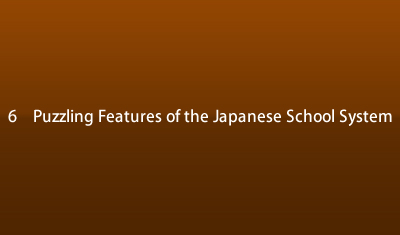 The reason lies in the fact that in the past, Japan relied heavily on the reading and writing method of teaching English. During the Meij i period ( 1868- 1912) onward, utmost priority was placed on reading works written in English for the purpose of acquiring knowledge in order to catch us with the West. Learning English became popular after World War II, but English was taught by teachers who were trained under the method that emphasized reading. There were no qualified teachers to teach hearing and speaking. The situation is sure to change for the better with emphasis now being placed on practical language learning by the installation of language laboratories and the hiring of foreign language teachers. However, a problem lies with the Ministry of Education's guidelines. The guideline limits the English vocabulary that is to be learned during the three years of junior high school to about 1,000. Even the type of sentence structure that can be taken up in each grade level is stipulated, which greatly hampers language learning. Textbooks must first undergo a screening by the Ministry of Education resulting for the most pati in standardized textbooks making English language learning too confining.